Ryan Ferguson is the Sector Lead for Travel in APAC with more than eight years of experience at Google and almost 17 in Digital. Ryan joined Google in 2008 where he worked as a National Sales Manager to a selection of Google’s top ten clients, including Australia’s foremost telecommunication, OEM and FMCG companies. 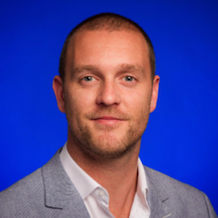 Ryan has also led Google’s partnership with key Global Agency Partners such as GroupM, recently launched Google’s social media acquisition in APAC , and built a passion for adtech as Head of Platform Solutions & Innovation for Google South East Asia. Most recently Ryan has been charged with digitising the travel market in APAC.